This documentation covers basic configuration of Cluster software. Of course the map and layers we are using are specific to our database and reflect the data we are working on. Therefore feel free to diverge from the sample field entries and make it work with your data. Despite these obstacles we strongly believe that if you follow this guide you should be able to enjoy fruits of your work in no time. Shown below is our sample Cluster webpage. Detailed description of how to achieve such effect will be provided further down. Start the work on Cluster page by adding a new workflow to your Aurora script. It is very important to set Element Id for this workflow. In our case it is ClusterTest. Now go on and add 4 tasks into this workflow. You may be wondering why we are adding Find Nearest task twice. The reason of this is that while configuring Find Nearest you have to set how many records from each queried layer will be returned as a result. In our case we want to return 3 records from some layers and 5 from others. 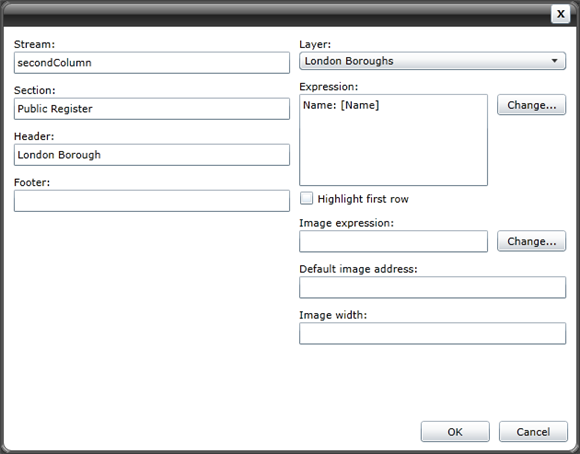 Cluster page task is a creator of data presenting / organising template. It needs other tasks to provide it with data. 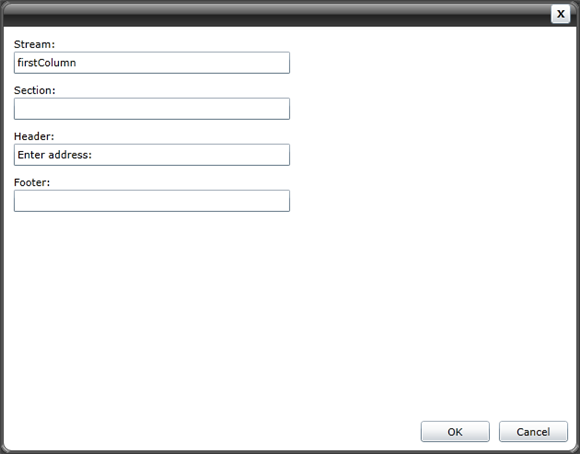 Now we will cover the 3 tasks which are in our example the providers of data for Cluster to display. First are the two Find Nearest tasks. Detailed documentation explaining what this task does can be found here: Find Nearest task. First Find Nearest will return 3 records from a single layer, namely Libraries. 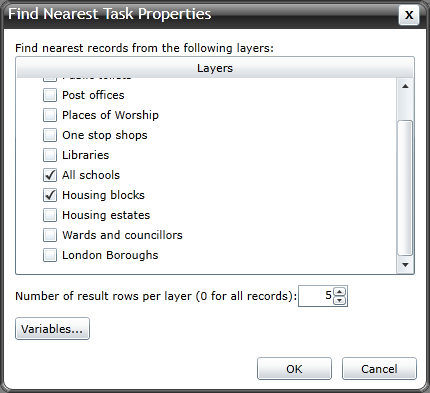 The second Find Nearest will query two other layers and return 5 records from each of them as a result. These layers are: All schools and Housing blocks. The last data provider in our example is the Drill Down Through Layers. 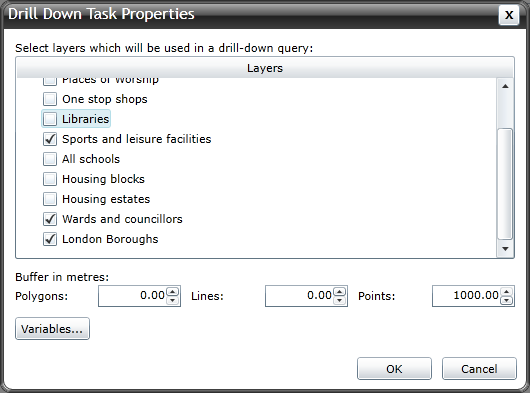 Detailed description of this task can be found here: Drill Down Through Layers task. 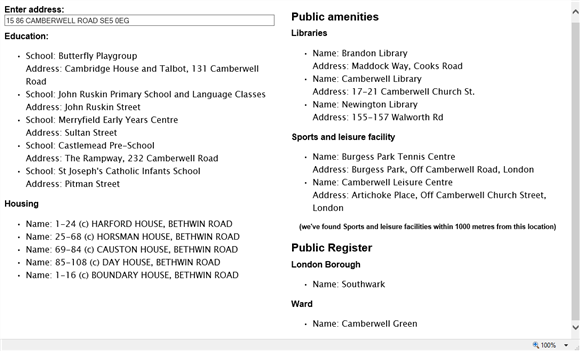 London boroughs to determine what borough the selected address is in. Wards and councillors to determine what ward the selected address is in. 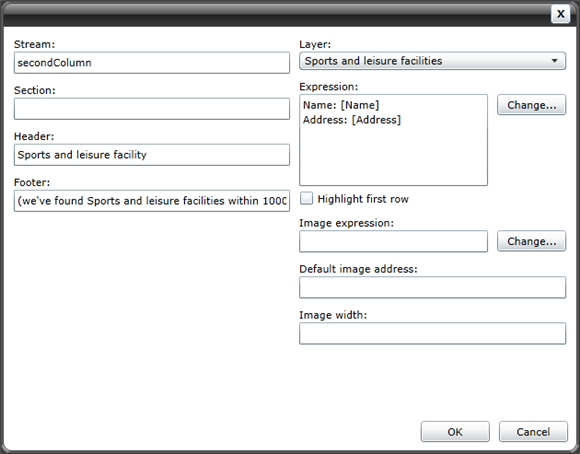 Sports and leisure facilities layer to determine if there is such facility within 1000 metres from the selected address. Sports and leisure facilities is a point layer so in order to achieve this we will apply 1000 metres buffer to the point geometries. Now we can focus on the Cluster Page task. 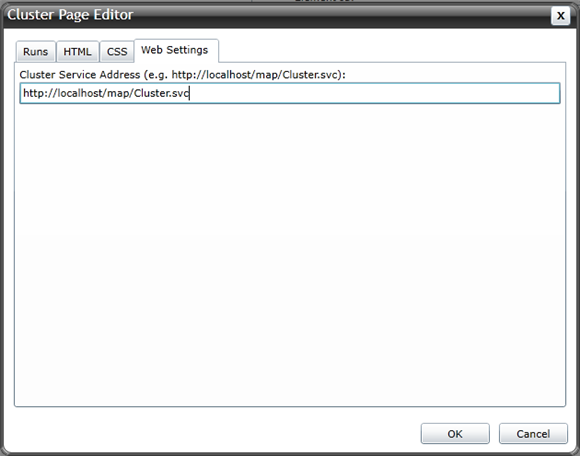 Here you can configure how Cluster webpage should look and what data it should present. You could compare Cluster page to a magazine page. Theirs general structure is pretty much the same. When you look at a magazine page you see columns and paragraphs of text. In the case of Cluster page the columns are called streams and the paragraphs are called runs. There are 3 types of runs available to add to the Cluster page. This guide covers the first 2 types of runs because the third type (Map Run) is a more advanced type and it’s still under development. Now it’s time for the data runs. To keep the columns balanced we will place 2 runs below the address search box and 4 runs onto the second column (to the right of the Address search box). And finally the last data run. This run will display the name of the Ward where the selected address is located. 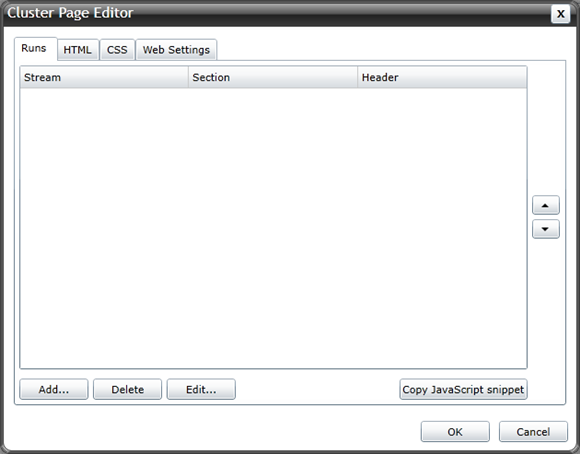 Now that all the runs are configured we can focus on other tabs of the Cluster Page Editor window. Let’s move on to the HTML tab. Because our initial plan was to have two columns we will configure two <div> elements with equal sizes and we will place our streams as their content. 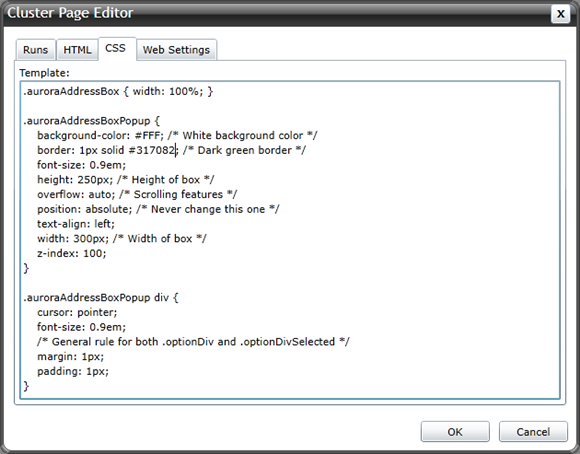 This is how our HTML template looks. Feel free to recycle it for your project. 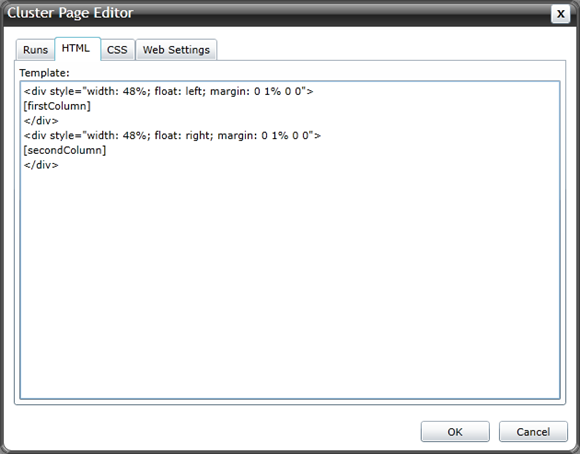 This is how our CSS styling sheet looks. Feel free to recycle it for your project. This was the last step of the configuration process. Now we are ready to test our script. 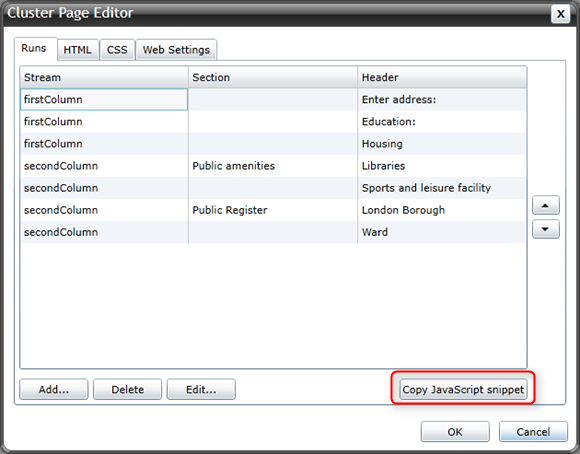 Please click OK button to confirm all changes and close the Cluster Page Editor. Our next step is saving the Aurora script. To do so please use Save as or Save tool. Please remember that all changes made in the Cluster Page Editor must be saved to the Aurora script before they are visible on the Cluster webpage. Our work is complete. 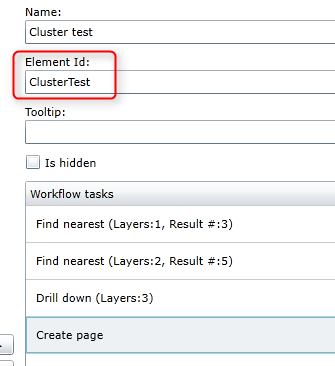 We can now double click the clusterTest.html document to see the Cluster script in action in our web browser. After making any changes in the Cluster Page Editor and saving the Aurora script simply refresh the web browser (for example by pressing F5 key) to see the changes. © Crown copyright and database rights 2013 Ordnance Survey.